| Page 18 of 18 | Timely information about diamond engagement rings and other exquisite jewelry. The word around New York is that gold is now truly a precious metal in every sense of the word. The World Gold Council statistics show that gold jewelry demand increased by 22% in 2007 as compared to 1996, and that was before the recent jump in costs for gold bullion. If prices for gold fall back to the old reality, Firenze Jewels and other jewelers expect it will still be an attractive accessory. Many people want the prestige of wearing beautifully crafted gold items that are out of reach to many. New technical processes allow gold to be designed in ways not imagined years ago. Stones that were previously not used along side gold such as peridot are now paired. Sterling and platinum were what the fashion conscious jumped on, but with the new extravagant price of gold, it will be more attractive to all. NASA wouldn’t have to mine a large portion of Eros—or another asteroid like it– to pay for the next 5 decades of its programs, but it also couldn’t come up with the funds to do so. And carrying out a task of this sort would be a as groundbreaking (pun intended) and newsworthy as any event in the annals of both space-crafting and mining. Could investment from any number of sources, like the US government teaming up with its 10 most friendly allies, allow for robotic mining of a blasted space rock? It would take many, many years to prepare and would destroy world markets for minerals such as gold as they are flooded by gold from space; but yes it is quite possible. With a massive inventory of jewelry in every size and shape, Firenze Jewels doesn’t like the idea of such an expedition much was it to happen tomorrow. Nor, we suspect, would those of you that own high valued gold or platinum jewelry. So what do you think, is space the place for us to expand our search for precious stones, as well minerals like aluminum? The Asteroid Eros was closely examined in 1999 by the Near Earth Asteroid Rendezvous spacecraft. Few Asteroids have been closely examined, and it is believed that Eros may not be unusual in the minerals it contains. There are 1000s of asteroids circling earth. Weighing in at about 20,000 million tons of aluminum and with almost the same amount of gold and platinum, one has to wonder why NASA hasn’t launched a mission to capture the banana shaped asteroid, tethered it to the international space station, and started one of the largest mining projects in the history of the world— in space. In fact, the amount of precious stone in this not particularly large Asteroid is greater than what could be mined from the entire upper crust of our planet. Twenty to 200 thousand megatons of explosives would be needed to extract substantial amounts of precious minerals. Such a project would more realistically be done by mining on the rock itself by a spacecraft using solar energy and robots. Right Hand Rings are a flamboyant and a smart way to show off nicely manicured hands. When set with semiprecious stones they fit well with multicolored spring fashion items. 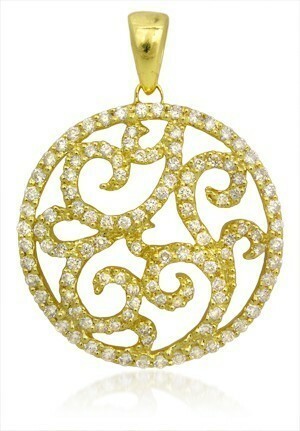 Classic Pendants are in for the 2008 Spring. Look for heart ornamentation. Christmas trees stay up for a month after December 25th in some homes, and this year many women aren’t quick to forget February 14. Spring clothing is more loud and full of detail, and the classic heart pendant is a simple look that provides a nice contrast and keeps the love alive from Valentine’s day. Heirloom style rings are always well liked, but the intensity of their popularity is new this spring . These rings typically have intricate metal settings with diamond detailing. We’ve seen a big spike in their sales, and this is also reported industry wide. Color engagement rings are hot, with gemstones such as sapphires, rubies, and beryls being the most popular. 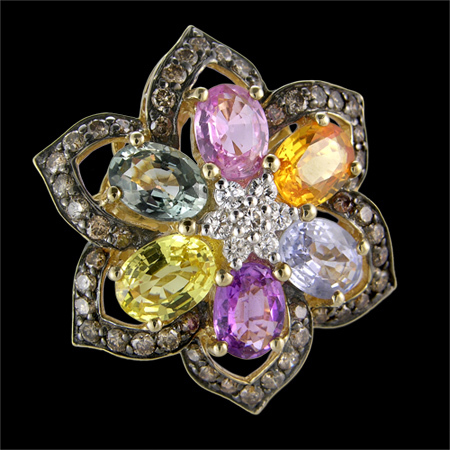 Amethyst and peridot are popular with all types of jewelry and match well with the colors of spring clothing. Diamonds shine particularly strong this spring. The right diamond draws character from its environment. The style now is to have large quantities of diamonds in rings to create a potent sparkle. The added quantity also serves to boost the size of the center stone, or, at a minimum, make it look larger. We are delighted to announce the launch of The Top Drawer. You will notice a different approach to our blogging as compared to many other eCommerce jewelry sites. Ours is not the equivalent of an offline product sales catalog. Rather, the goal is to give you a new perspectives and education on the world of jewelry. Posts will direct you to relevant products and information on our shopping site when it is complimentary. A small number of posts will specifically highlight news about our website and we will announce important news related to the company. The Firenze Jewels story will be interesting to new and existing costumers. It’s one that date’s back to 1937. Mostly, The Top Drawer will contain news, advice, photography, as well as insights on the lighter side of jewelry’s place in society. Today’s websites break the boundary of traditional relationships between merchants and customers. With the new “social web,” often referred to as Web 2.O, the conversation is now two ways. The web of yesterday was brochure-ware that may have allowed for purchases, but was not dynamic or interactive. People expect online jewelers will update their sites frequently with fresh, timely information. Good websites today listen carefully to what their costumers tell them they’d like to see or learn. We’re known for our service and the time we spend growing relationships with customers off-line. We hope our blog postings will set us apart online as we bring you news you can use on a regular basis.